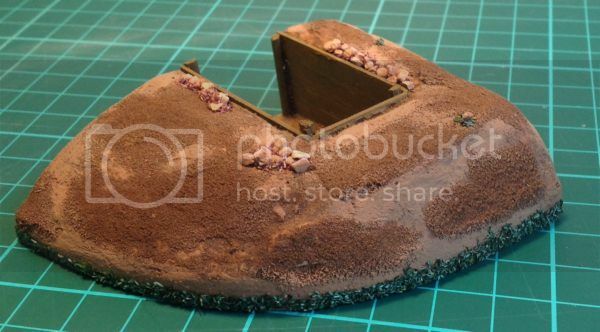 I searched the net for 28mm pre-made trenches but couldn't believe the prices (even though I know resin isn't cheap as I do some of my own casting) so I decided to make my own. 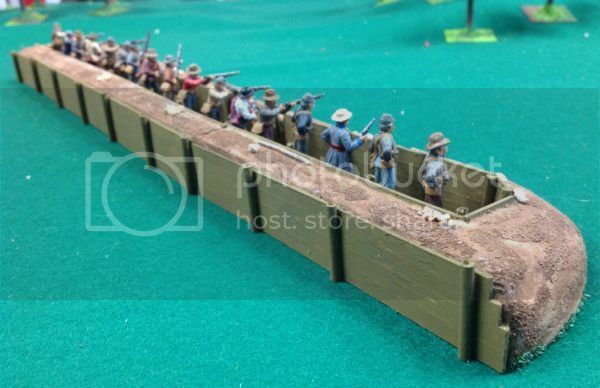 I decided to initially make three parts so my trench could vary in length two ends and a centre, one thing I noticed with the pre-made trenches most lack of ends so your trenches just stop open ended unless they but up against the board edge! I had all this on hand so dove in! 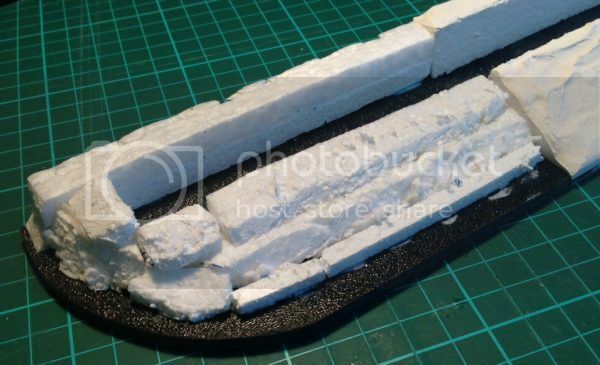 1. cut and glued the polystyrene to my shaped ABS bases trench depth 2cm, I rarely work with polystyrene but everytime I do swear I'll buy a wire cutter, one day I may! Too easy! The sections are very light thank to the polystyrene fill and the ABS is very rigid so these wont bend and crack the plaster finish...Just dont drop them! 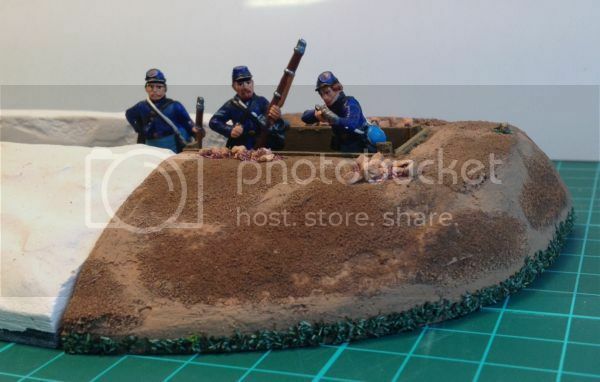 I didnt take a picture of the 'raw' trench lining but I fixed it in place painted everything and added some basing materials. 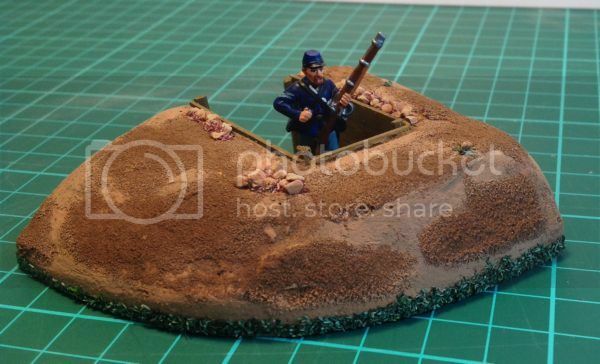 I still may umber wash the mound to blend colours together and black wash the trench lining and bring out plank highlights. Last edited by Captain Darling on Thu Oct 23, 2014 10:09 pm, edited 1 time in total. That has come out very nicely indeed. Nice zig zag trench Dropbear! That whole jungle game setup looked cool. The foam cutter link is interesting it doesn't look too hard to make one and I have a few of those chargers lying around in shed from old electrical items...THANKS! Pete, I have a hot-wire cutter that you can use. I made it following the instructions in Silicon Chip, many years ago. It uses a PC power supply, a spring to keep the tension on the cutting wire and is set up to give a cutting throat of about 600mm and height of about 250mm. 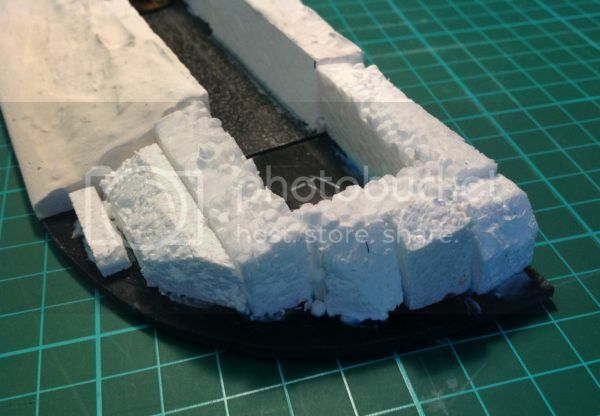 Cuts expanded polystyrene as well as foam. PC power supplies are excellent. Even the old ones deliver more current than you would ever need. 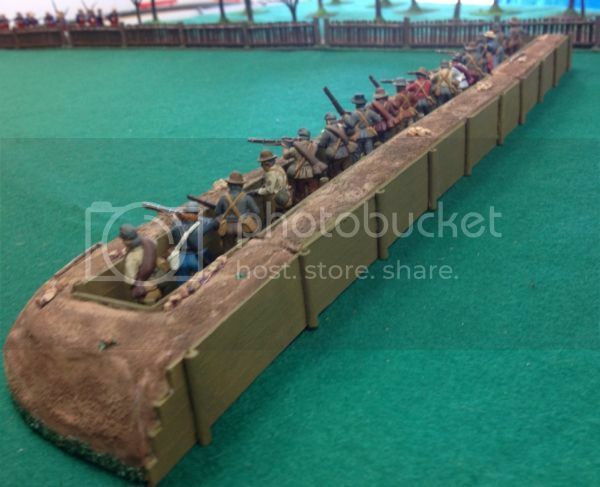 nice trenches, even nicer in the flesh. I forgot you had a wire cutter! I'll remember for next time! Just noticed this....absolutely great work mate. I love the grass at the "bottom" suggesting resumption of "normal" ground outside the trench. 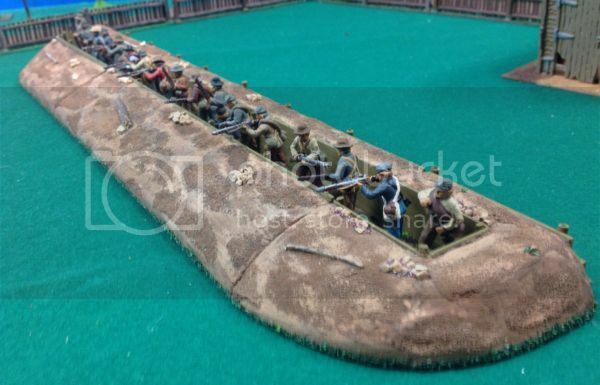 Below are some pictures of the completed trench (for use prior to 1900). Im planning on adding a few more lengths but will visit Stu to use his hot wire cutter when I do! Not sure who all those grandads with shotguns in the trench are though..local trap shooting club?? Ah...."The War of Northern Aggression" as my old friend Barrett Tillman likes to refer to it! You've done an outstanding job there mate. If I ever get back to WW1 I may pinch your ideas..with suitable royalties paid, of course..